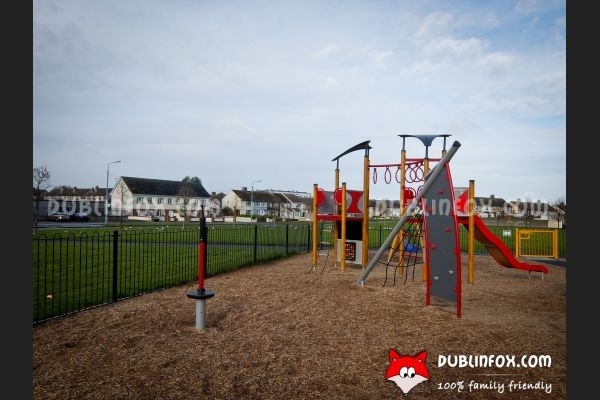 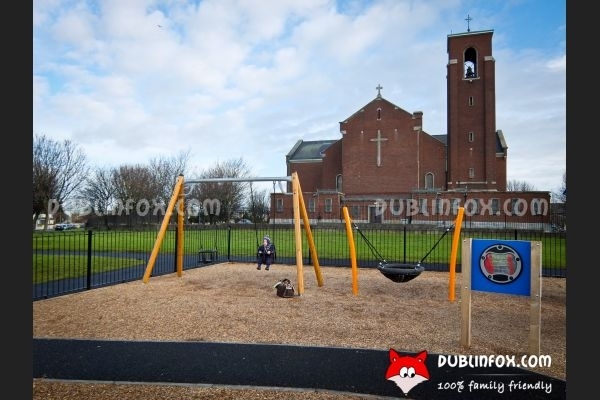 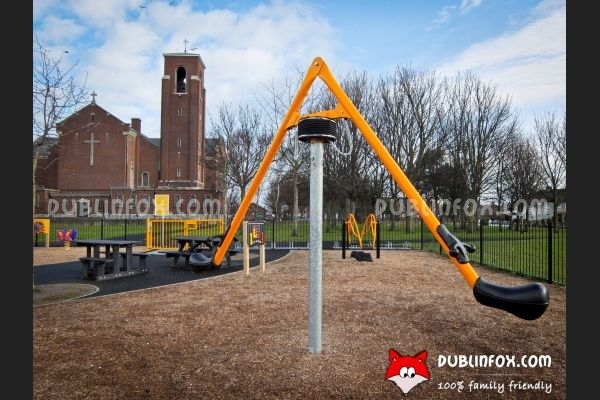 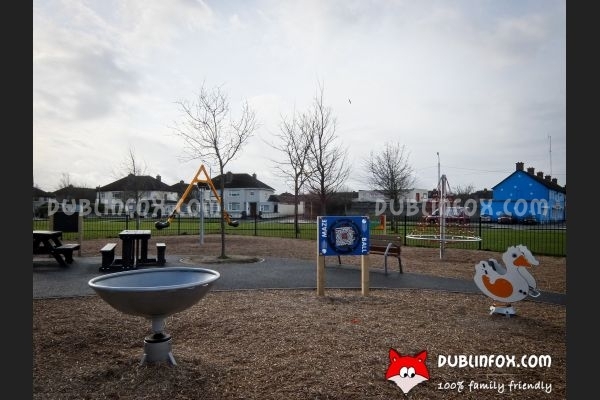 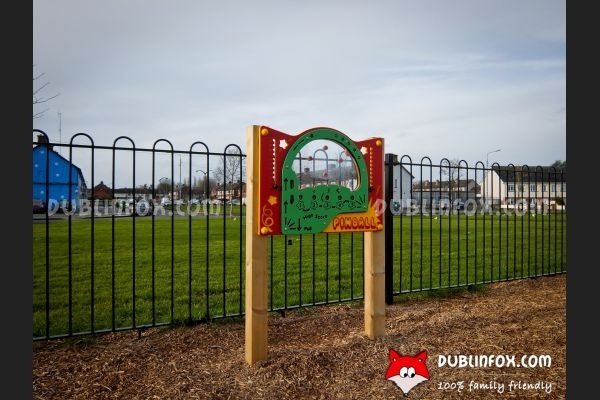 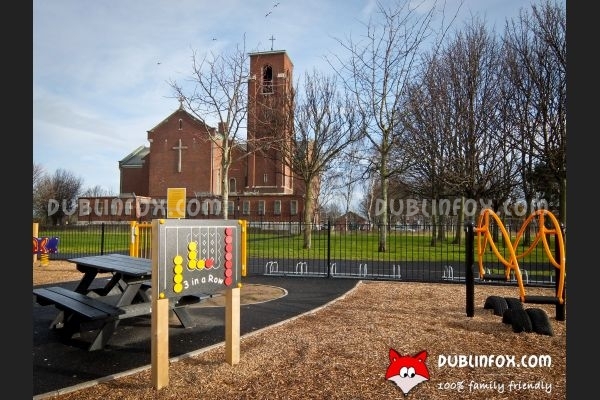 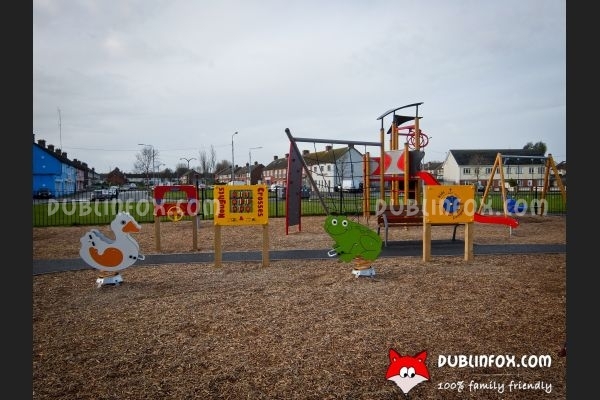 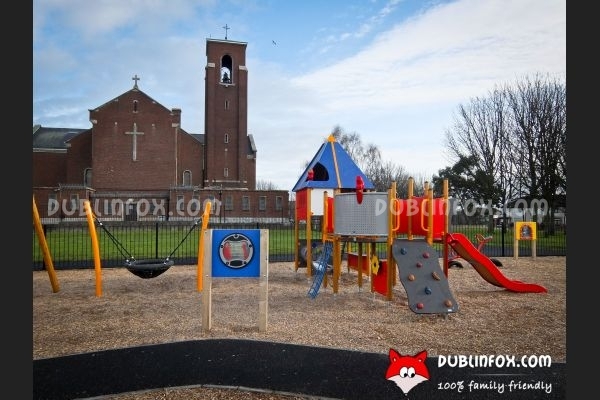 The new playground in Walkinstown Park is packed with different cool playing equiment. 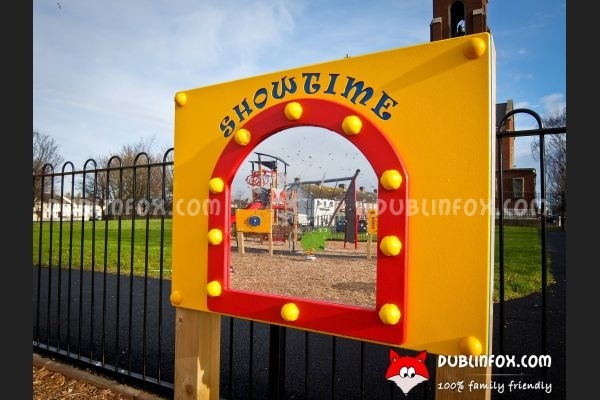 There is no separate junior and senior area, so if the place is crowded, the atmosphere can be quite chaotic for a toddler. 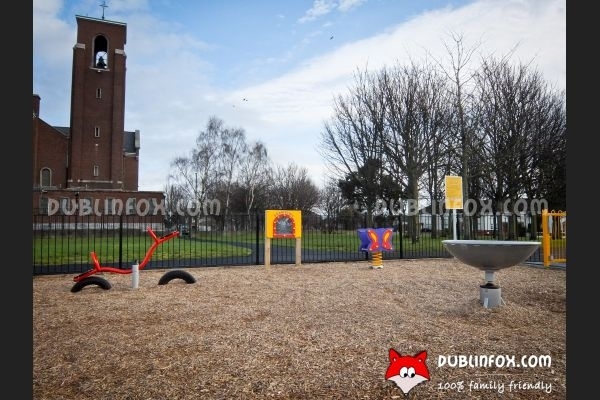 The playground is suitable for 1 and 11-year-olds alike, but maybe it is more fun for a toddler than a teenager. 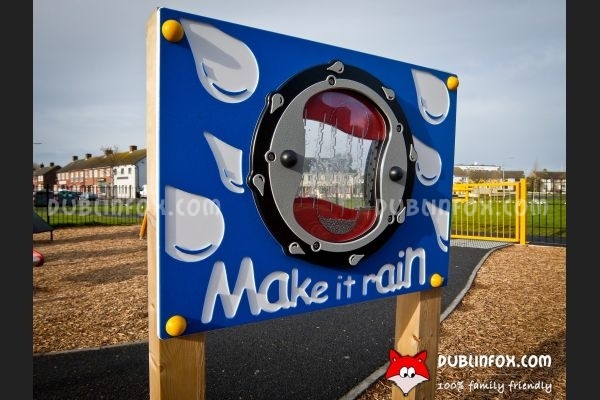 Besides the usual swings, slides, climbing structures, there are several interactive boards, too on this playground, which gives the place a rather innovative and fresh touch. 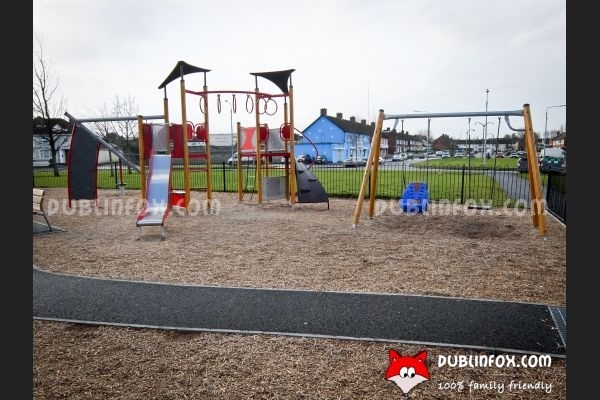 Parking is easy around the park and in most places free.